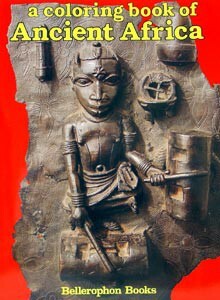 A Coloring Book of Ancient Africa Book 1, (Benin) . Ancient Africa - all from the superb art of Benin showing the Oba, his warriors and their costumes, his palace, and a noble Queen of Benin. The portraits are among the worlds greatest. From Bellerophon Books.